The state of Ohio, like the rest of America, is strictly against drug abuse of any kind. In fact, the laws dealing with drug possession and abuse, such as possession, trafficking and drug tampering, in the state are some of the strictest and most complex in the entire country. If you have been charged with drug tampering, it is recommended that you seek out an experienced lawyer who can mount a strong defense for you. Drug tampering, like drug possession, trafficking, and abuse, is considered to be a grave offense in the state, and the services of a competent lawyer can go a long way towards reducing your sentence. Contact Attorney Adam Burke for your free consultation at (614) 280-9122. According to the Ohio code, the law states that a person cannot knowingly: make additions or change a dangerous drug, or swap one dangerous drug with another, make additions to or alter the packaging or container in which a drug has been placed, or change the packaging or the container the drug has been placed in. This law, of course, does not apply to pharmacists, manufacturers, nurses and the like, as long as their behavior is in accordance with certain chapters of the Ohio Revised Code. Also, if a person altered a drug based on a personal prescription given to them, a case will not stand against them in the court of law. If a person is convicted of knowingly engaging in drug tampering, he or she will be guilty of committing a felony in the 3rd degree. This carries a prison term of 1 to 5 years, and fines of up to $10,000. If you have been charged with drug tampering, it is in your best interest to hire an experienced criminal defense attorney to fight for your rights and your freedom. Drug tampering is a grave offense and it is important to have an attorney who can help you come up with a defense strategy. 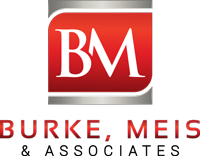 Call Burke, Meis & Associates now for your free consultation at (614) 280-9122.